Normally, I spend Oct. 9 celebrating my father’s birthday, but this year was a little different. I may have neglected his special day, as something else had my attention – something that as editor of FORE Her, I had been talking about and planning with colleagues for months. 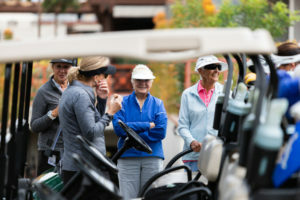 We had been hearing the testimonials loud and clear (Thank you, FORE Her readers): There were not enough efforts from the SCGA that supported women in golf. And they were absolutely right. So, we had meetings, lunches with women’s golf ambassadors and discussions within our newly created SCGA Women’s Task Force, which I’m proud to be a part of. We meticulously created flyers and social media promotions, capturing the female audience the way they deserve to be represented. 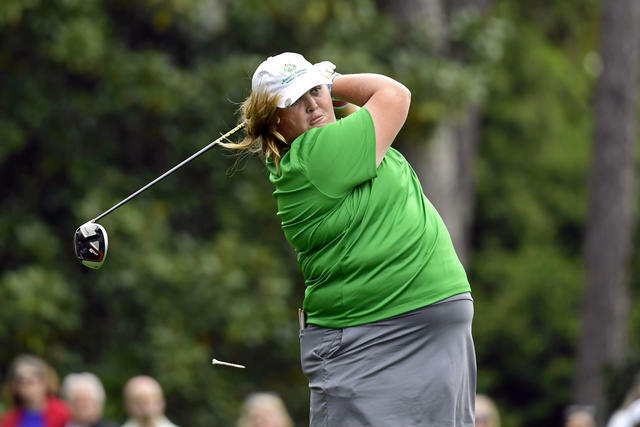 After all that preparation, the first non-competitive FORE Her Golf Outing was born. 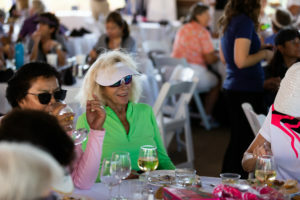 The sold out, women’s-focused event for Southern California golfers was ready to go. Dad, maybe you can consider this your late birthday present? Look at what your daughter is doing with the game you taught her! Arriving on that Tuesday morning, I had a Dorothy moment. I thought I was lost because it looked nothing like my home in the valley. Wide open, smooth paved roads, natural rolling hills and suddenly, a golf community. I’m not sure if the overcast morning fog romanticized the scenery, but I sure didn’t want to click my heels, I knew Coto De Caza was the perfect place. While I was on time, it seemed I was late as I watched women stroll around the patio with mimosas and flaky pastries in hand, sharing smiles and words with fellow women – all 80 of them. Many women came alone but finished the day with a new friend or two and a list of names for future golf dates. A well-lubricated bunch – thanks to the generous Wilson Creek Winery rep, who was not shy about handing out free samples – found themselves mingling at an all-time high. I spent most of my time on the par-3 hole that featured a closest-to-the-pin contest. The winner, by the way, smacked it to three feet, with a forced carry over a barranca to a front pin. Not too shabby, if you ask me. As the groups passed through, I often caught people chatting and smiling, some even donning creative matching outfits. 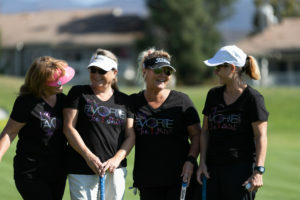 After hours of conversation and entertainment as women fought that barranca with all their might, I realized we may have finally taken that first step towards a brighter future for women in golf in SoCal. There was one woman in particular, Judy Rogers, who caught my attention immediately. Extremely vocal with a fresh look on her face, she perfectly described the vision for the day. To our delight, everyone stuck around for post-round festivities which included eating, drinking and a trunk show featuring eight brands that wanted to engage and get involved in the effort. Brands such as Callaway, Cutter & Buck, SanSoleil, Kinona, Cleveland/Srixon/XXIO and FootJoy. It was precisely what we wanted to see, and it seemed that it was also what everyone was waiting for. We can assure you that this was not a one-off. This was not our “token” women’s event to appease some diversity requirements. There will be more to come. Yes, we’ve supported the game in SoCal for over a hundred years. But consider this the beginning of a new era. 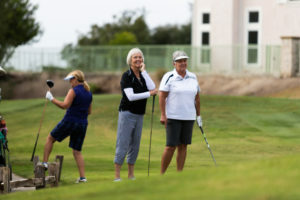 Outside of tournaments we’ve had for a few years, this format for the social golfing woman is a new opportunity and the future of the game depends on it. We will continue to support and create spaces for women – in addition to this monthly newsletter – where women can come together in a comfortable environment. As your FORE Her editor, and as a member of the Women’s Task Force, I know we have our work cut out for us. But, I can rest my head each night knowing that we’re headed in the right direction. Were you at the event? We’d LOVE your feedback!